On the first Saturday in September, the Community Prefects organised the first ever Student Leadership Seminar for 56 Year 10, 11 and 12 students. Fully initiated by the Community Prefects and facilitated by student leaders, this event was a tremendous success. Y13 students who led activities across all disciplines of the school–House, Student Council, the Prefect Team, Interact and SDG–passed on their experience about what it means to be a leader and, more importantly, specific skill sets that are needed for the corresponding roles. These included interview skills, application writing, catering, PR, communicating, setting goals, budgeting, leadership qualities and finding a fine balance between commitments inside and outside of school. The most meaningful aspect of this event was that it came from students who have been through this process themselves, making the tips and advice more personalised and unique to DCB. At the end of the day, groups collaborated to create a potential project for DCB, with the specific focus being cohesion between Senior School and KS2. The younger students were attentive throughout the entire seven hours and asked many good questions. Not only did the aspiring young leaders learn tons of valuable skills that will better prepare them for "handover season”, as we call it, but the Y13 leaders themselves have said that the event made them more conscious of their own leadership style. We'd like to commend all the students who attended for their proactive attitude; it takes commitment and dedication to spend an entire Saturday at school! Also, we'd like to thank Ms Tomaszun, Mr Hawkins, Mr Hurworth, Mr Pankratz and Mr Greene for their support, and student leaders for their time and wisdom. We hope for this to become an annual DCB event! Two weeks ago, four Key Stage 3 Ambassadors were selected from each form class. 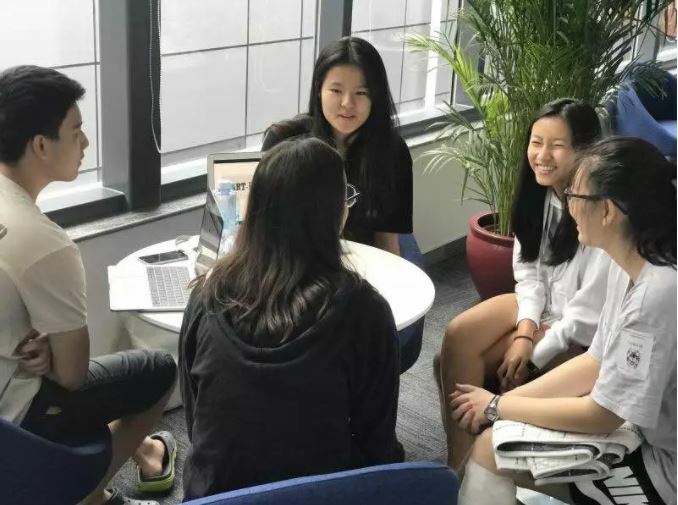 To better prepare them for their upcoming responsibilities, the four Community Prefects and Head of Johnson gathered together to organise a one-period leadership training session for the students. Divided into five sections, the training covered communication, collaboration, delegation, speaking and listening, and leadership qualities. 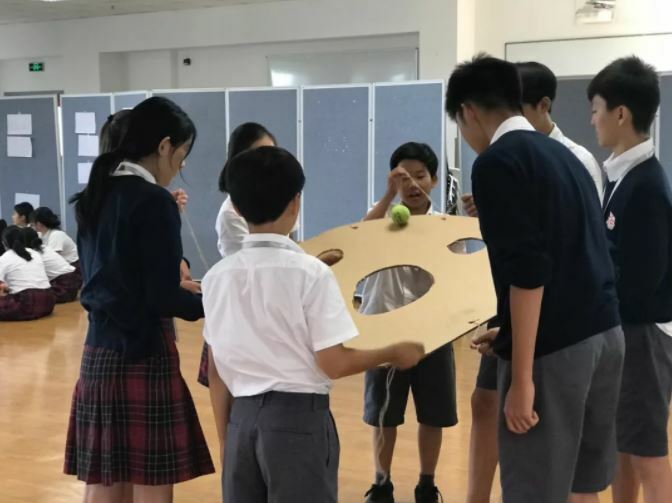 From simulation tasks to interactive games to questionnaires, the students engaged in a variety of different activities while also acquiring many beneficial skills. The students were happy to receive their brightly coloured "Key Stage 3 Ambassador" badges, and we hope they can all wear them proudly on their lanyards! Thank you, students, for your enthusiasm and patience; thank you, Mrs Hawkins, for giving us this opportunity to work with the Key Stage 3 leaders. We are excited to see their growth as young leaders in the upcoming year!